Featuring RJR Oasis Fabric by Flaurie and Finch! THIS IS A READY MADE BAG! We have done all the sewing for you. 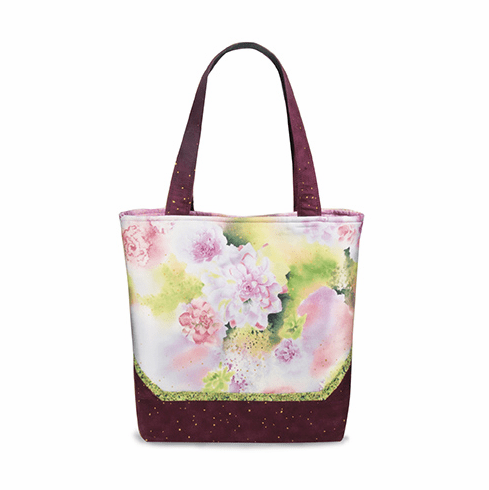 Display this sample with our patterns in your quilt shop … or buy this bag to wear for yourself.